It seems the past always have a way to catch up with Chris Brown as his history of domestic abuse has been well documented and now haunts his career. Most recently, photos of the singer’s hands around a woman’s neck surfaced on the web, and as you could expect, wasn’t positively received. He and the woman in the photo have claimed that it was simply horseplay, however, that doesn’t seem to be enough for people on the Internet who are petitioning to get Chris Brown dropped from Interscope Records. The petition itself is near its mark. The goal is set at 17K signatures and as of now, is sitting over 16K and is likely to hit 17K very soon. 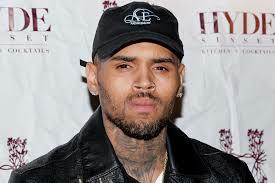 0 Response to "People Petition Interscope Records to Drop Chris Brown"